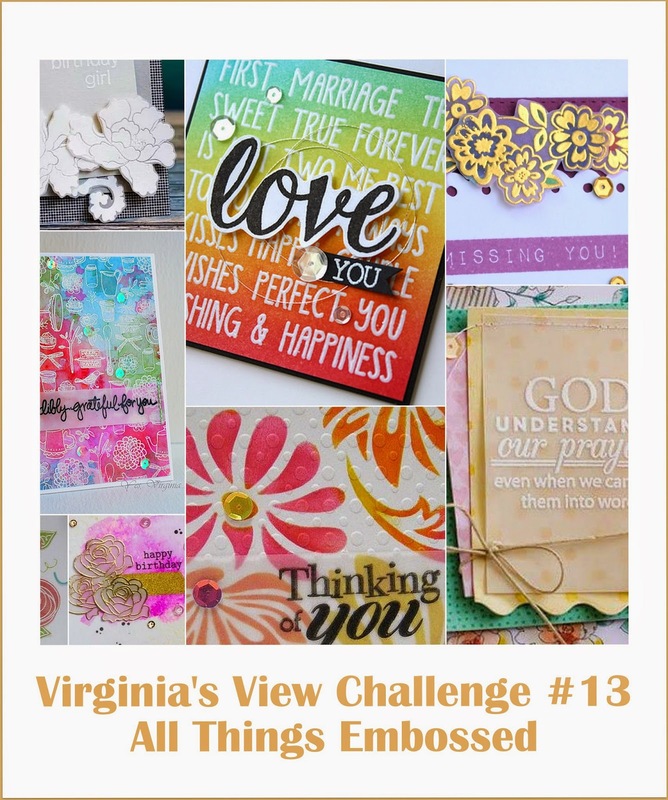 Playing along in the very first challenge at Ellen Hutson, using her stamps and dies that I also paired with Hero Arts. 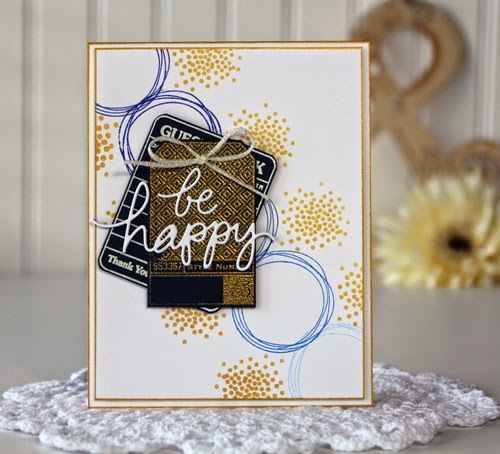 I went with an Ombre effect for the wonky circles, then stamped the tiny dots with Delicata Golden Glitz. The card front and card base are also edged in the same ink. 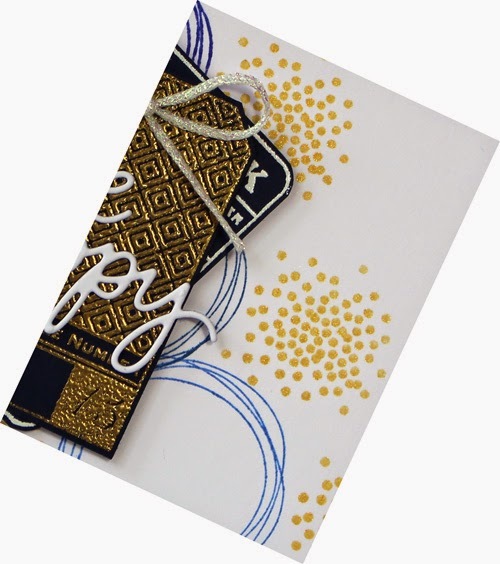 The tags were cut from Navy card stock and heat embossed with Gold and White. The die cut sentiment is from Ellen's Christmas release....don't you just love being able to use these kinds of stamps and dies all year long?!? Great design, Penny - love your card! This card is awesome times inspiring times ultra cool!! Such a well done and styled card!! Love the ombre circles coming down the card!!! You just amazed me!!! Oh, I am loving this. 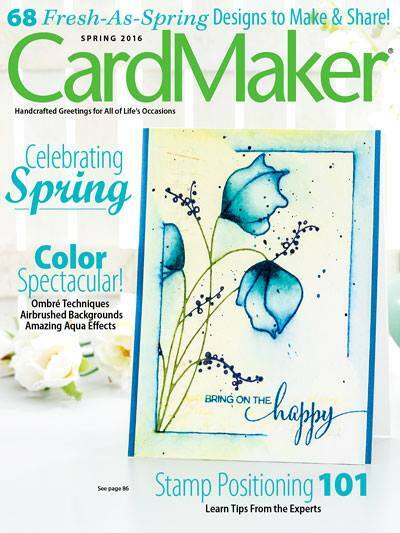 I love the color scheme, the cluster of circles, the die cut words over the layered panels. Its just fantastic!!! LOVE LOVE LOVE!